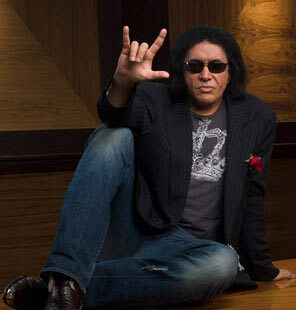 Rock Icon and Kiss-founder Gene Simmons will be appearing at Wizard World Comic Con St. Louis on Saturday April 8 and Sunday, April 9. Simmons will also play a concert on Friday, April 7 to celebrate his appearance at the convention. 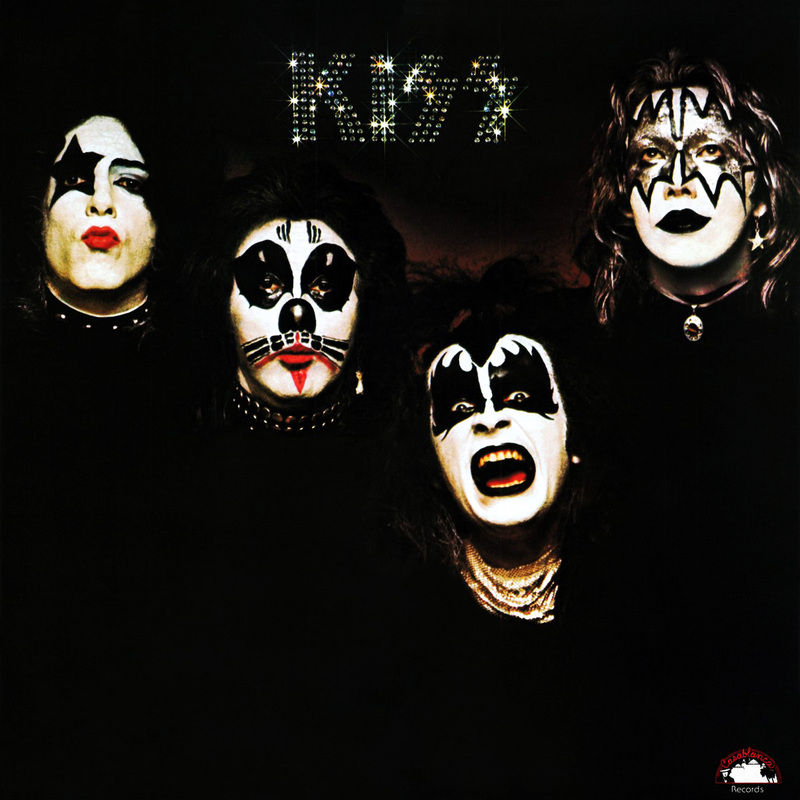 KISS’ debut album was released February 18, 1974. Simmons co-founded KISS 42 years ago. KISS is America’s #1 Gold Record Award Winning Group of all time, in all categories (RIAA). The band, which has sold over 100 million CDs and DVDs worldwide, is celebrating their 43rd anniversary. They continue to sell out stadiums and arenas around the world, breaking box-office records set by Elvis and the Beatles. KISS was inducted into the Rock & Roll Hall of Fame at the 2014 induction ceremony, and the band is recognized with a star on the Hollywood Walk of Fame for its pioneering work. Simmons recently spoke with to ReviewSTL’s Jeremy Housewright about his upcoming appearance at Wizard World, comics, the state of the country and much more. The Kiss frontman explained what led to him getting involved with Wizard World. In the 70s Marvel started the KISS comic series, which was their biggest seller at the time. Throughout the years the KISS comic series has been published by many companies. While he will appear for photos and autographs at Wizard World, Simmons will be joined by a live band to play a show on Friday night. While fronting Kiss for over 40 years, Simmons has worn many other hats from acting to businessman. One of his more recent ventures was as a contestant on season 7 of The Celebrity Apprentice. Being on the show gave Simmons a chance to work with Donald Trump, now the President of the United States. Simmons didn’t mince words when asked about Trump and the protests surrounding his recent inauguration. With Kiss continuing to tour all over the world, the band is now playing to multi-generational audiences. Simmons said this has helped make the band’s live shows even better. The band will depart for a European tour in May. “We’re just having a great time,” Simmons said. With over four decades in the music industry and having made millions of dollars, some wonder why Simmons and his bandmates continue to tour and make music while in their sixties. Speaking of Simmons mother, who was a Holocaust survivor, he said she continues to have a major impact on him today. 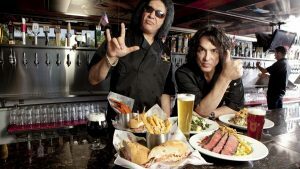 Simmons and bandmate Paul Stanley were recently in Chesterfield to celebrate the opening of Rock & Brews, a new restaurant. The restaurant held a grand opening for just military members. Simmons and Kiss have been a huge supporter of the Honor Flight and several veterans’ charities throughout the years. Given all the different business ventures Simmons has been involved with over the past 40 years, he says he has yet to make a bad decision. Simmons admits that from the outsider looking in, it may appear that making music, television, and business decisions is easy, but he was quick to admit that it has taken a lot of hard work. Despite all the success Kiss has had over the years, the band has never had a number one single in America. If you ask Simmons, that doesn’t matter. 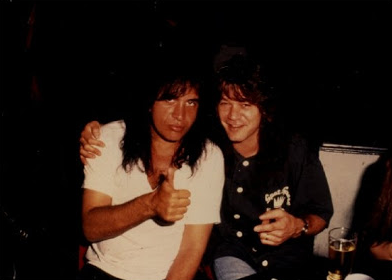 While KISS fans may know Simmons discovered Van Halen, there may still be a surprise for even the truest rock fans. He also produced an original 24-track demo that has yet to see the light of day (although some of it has leaked onto YouTube over the years). With Wizard World coming up in the not too distant future, Simmons has other projects in the works, including a box set of 150-200 songs. He said it’s getting close to being released. In the meantime, you can visit with Simmons at Wizard World St. Louis Comic Con April 8th and 9th, or catch his show on Friday, April 7. The Gene Simmons VIP Experience is available for 359.99 and includes a photo op and signature, as well as admission. Wizard World VIP Experience Packages are available for the weekend at $199.99. For more information visit wizardworld.com.